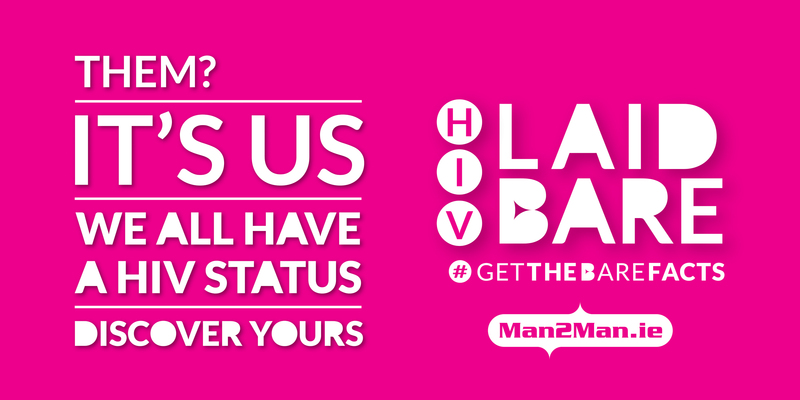 Part of the Man2Man.ie programme, this new social media campaign was developed in 2015 by the Gay Health Network, with key messages developed by gay and bisexual men, including men living with HIV. 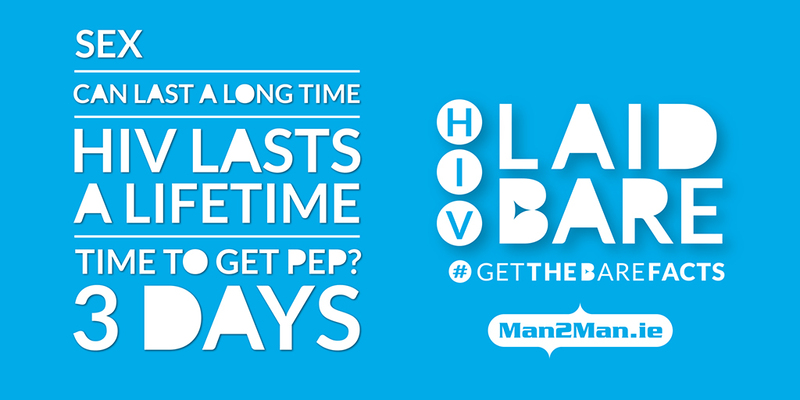 To promote self-responsibility for sexual risk-taking behaviour and the prevention of HIV transmission. 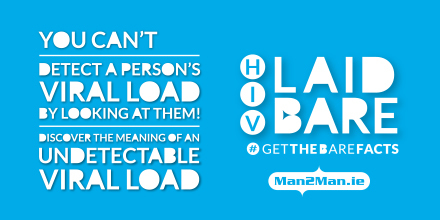 To challenge the ignorance, lack of knowledge, and unfamiliarity with HIV today, particularly terminology. To challenge stigma towards MSM living with HIV. 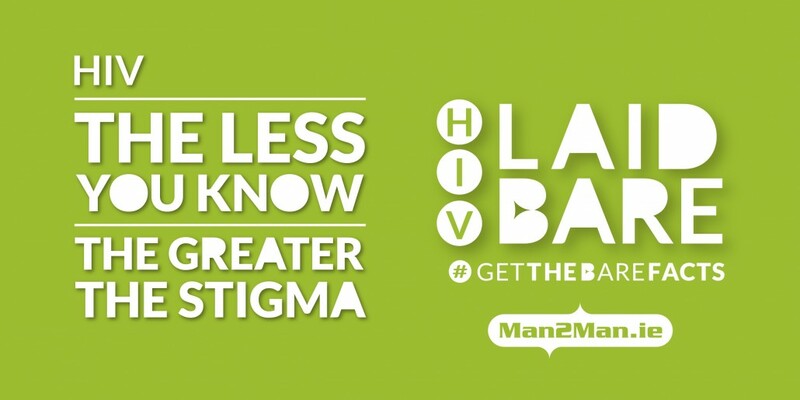 To raise (general) awareness about different HIV prevention strategies, and the positive effect of HIV medication on preventing transmission. 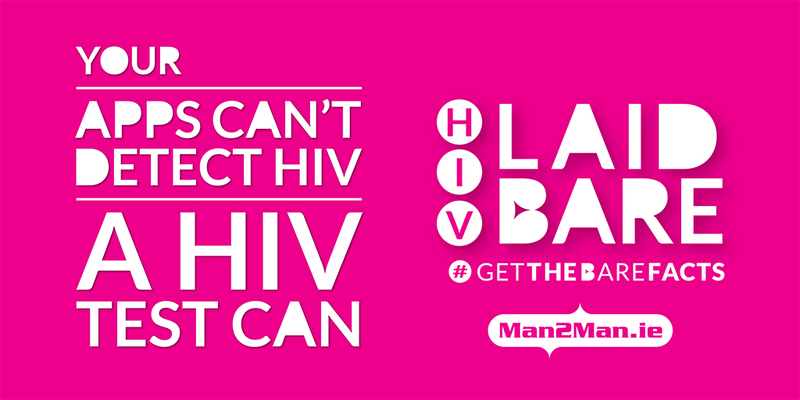 Follow the campaign on Facebook. 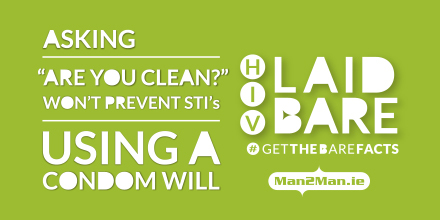 Follow the hashtag – #GetTheBareFacts – on Twitter.